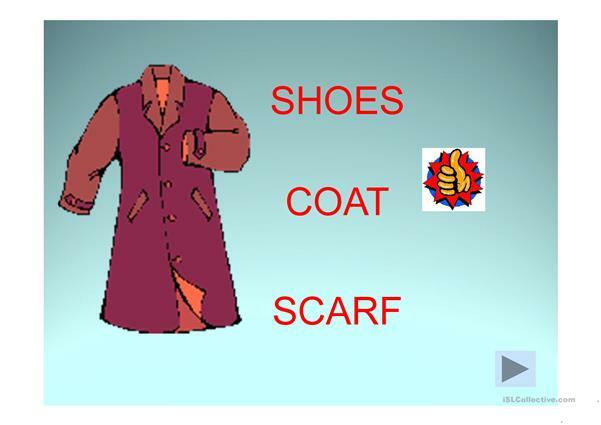 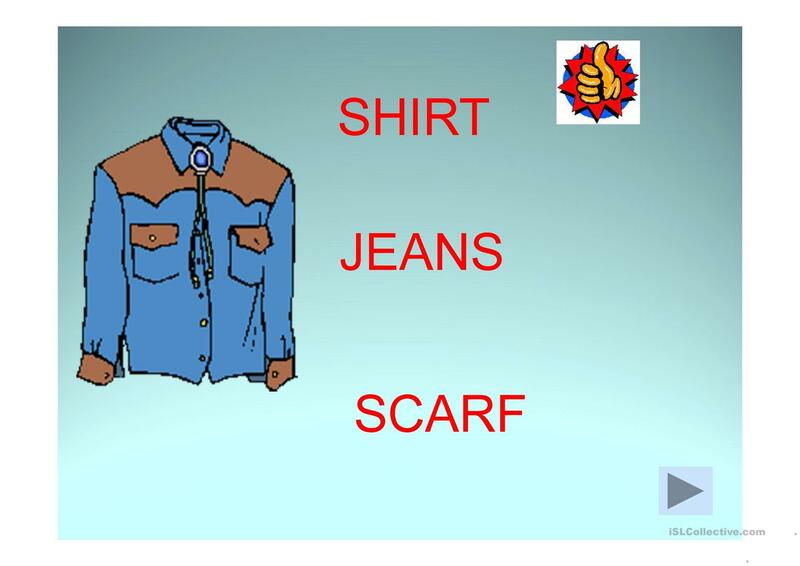 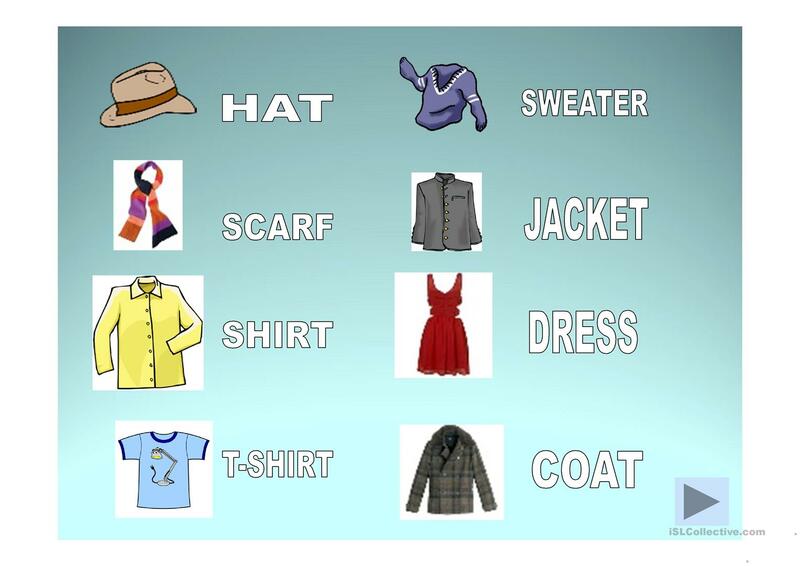 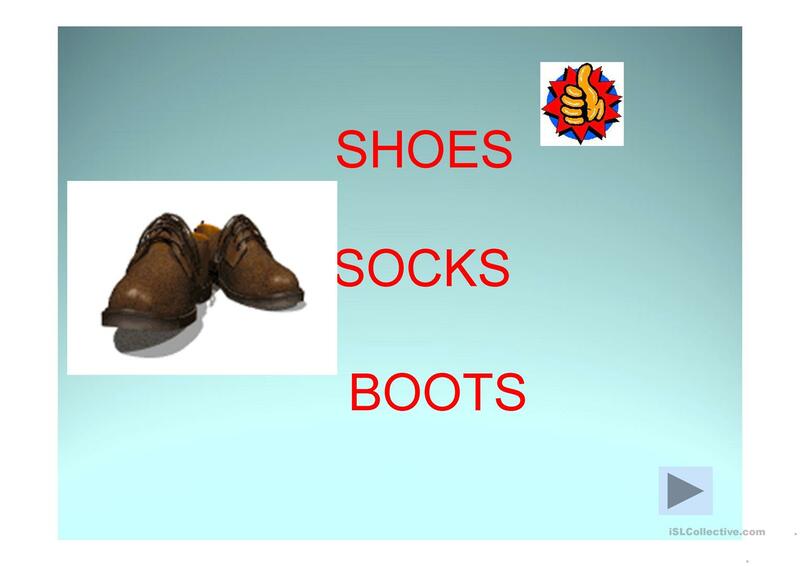 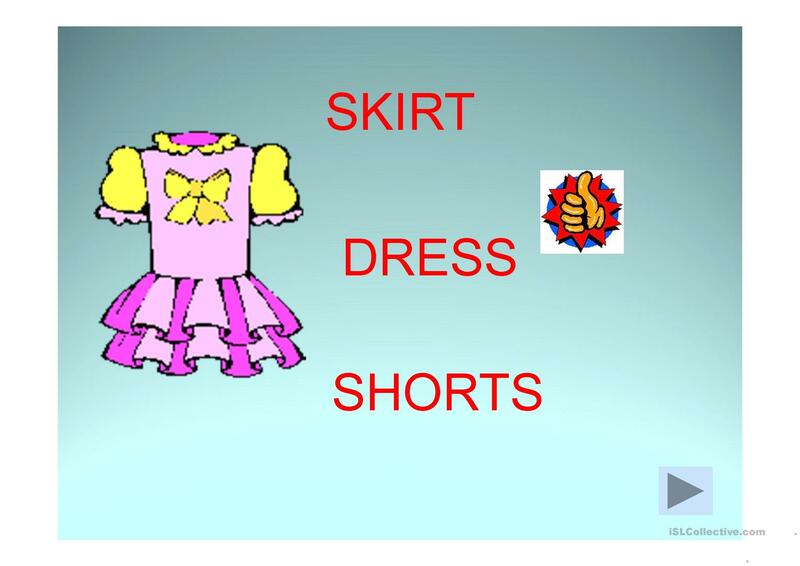 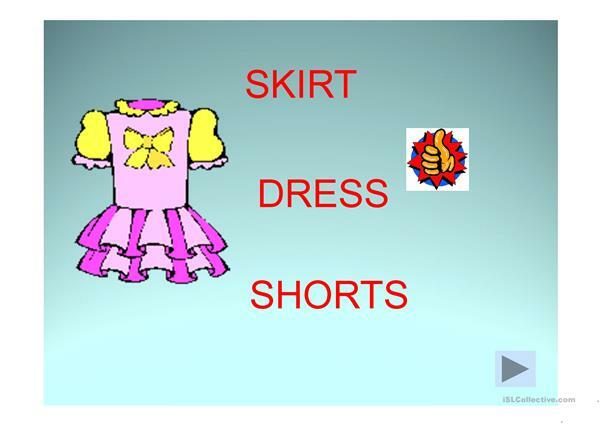 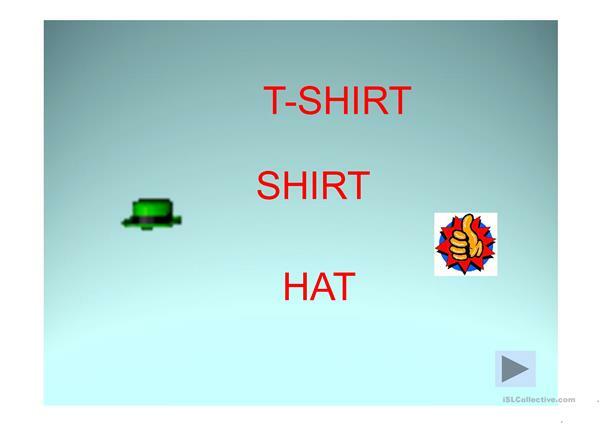 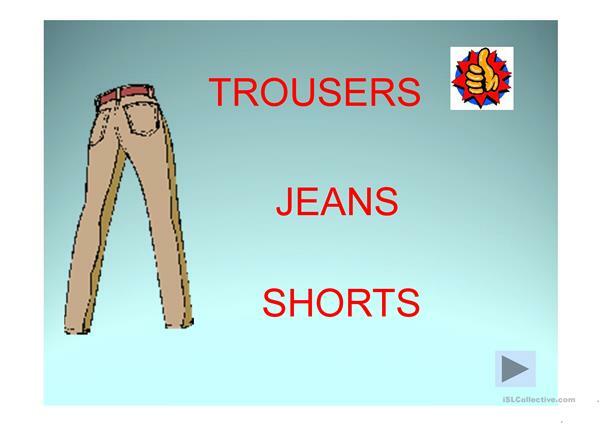 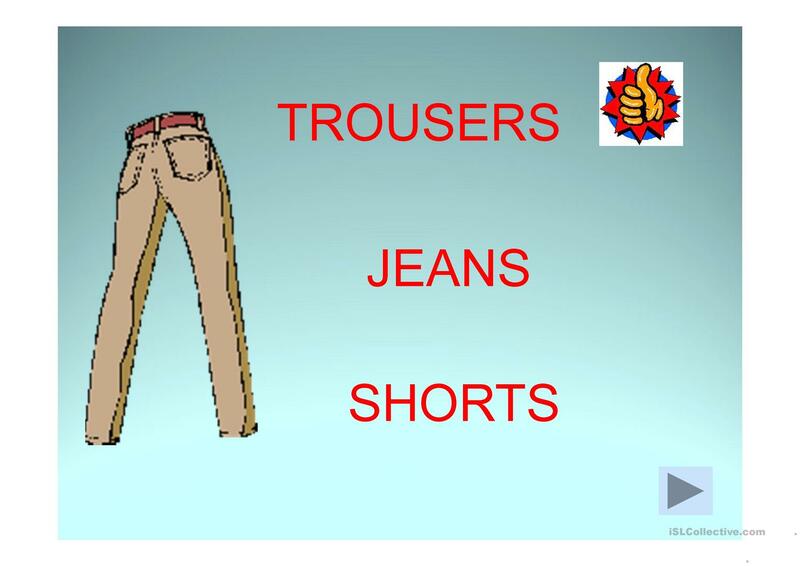 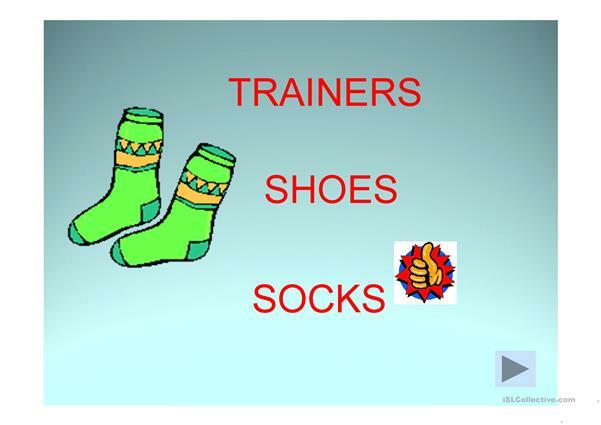 It's a PPT to revise items of clothing. The present downloadable printable was created for elementary school students at Elementary (A1) level. 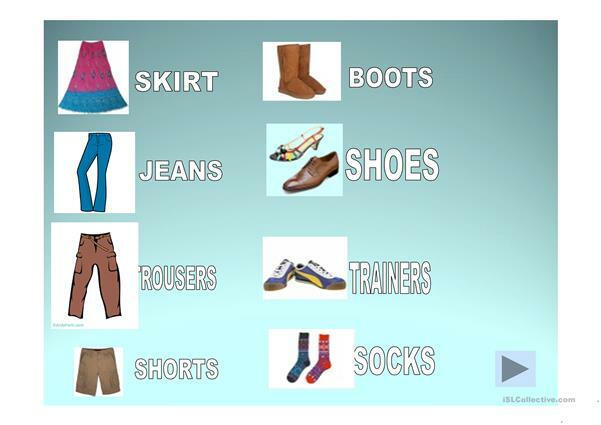 It is useful for enhancing your students' Listening and Reading skills. 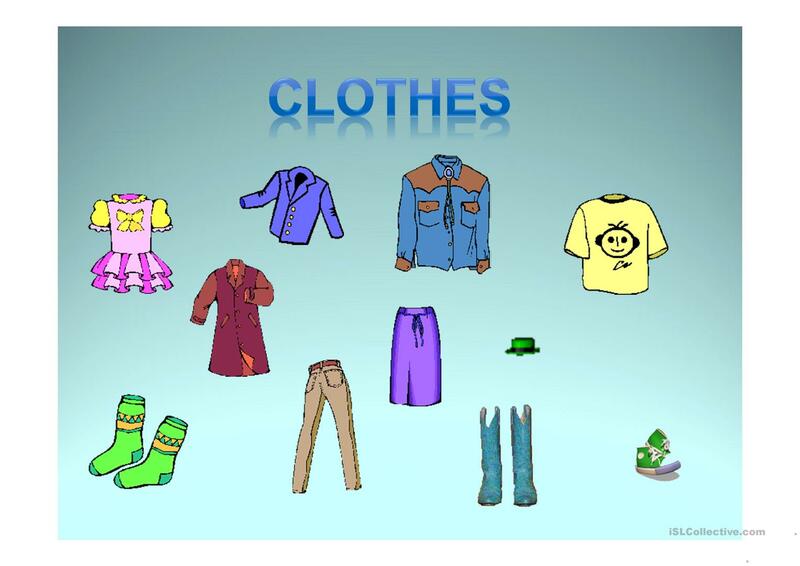 It focuses on the topic and words of Clothes, fashion.